For women diagnosed with breast cancer, high vitamin D levels in the blood may be tied to better odds of surviving and having tumors with less deadly characteristics, suggests a new study. 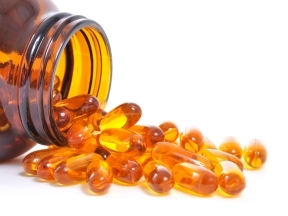 While the new study supports previous research on vitamin D and breast cancer, it can’t prove that boosting vitamin D levels will improve outcomes for women with breast cancer. “Overall, we found a 30 percent reduction of all-cause mortality associated with vitamin D levels at the time of diagnosis,” said the study’s lead author Song Yao, of the Roswell Park Cancer Institute in Buffalo, New York. The researchers used data from an ongoing study of California women started in 2006. Women were usually enrolled within two months of being diagnosed with invasive breast cancer. Participants’ average age was about 59. They were evaluated when they entered the study and periodically afterward. The women were split into three roughly equally-sized groups, with about 520 participants each, based on their blood levels of a marker for vitamin D. The researchers found low levels among women with more advanced cancers. The lowest levels were in women who had not yet entered menopause and were diagnosed with triple-negative cancer, which tends to have worse outcomes than other types of breast cancers. Over an average of seven years of follow-up, about 100 women with the lowest vitamin D levels died, compared to 76 women with the highest level of vitamin D. Women with the highest vitamin D levels were 28 percent less likely to die of any cause during the study than women with the lowest vitamin D levels, after accounting for tumor characteristics and other factors, the researchers report in JAMA Oncology. People should get 600 international units (IU) of vitamin D each day from ages 1 through 70, according to the Institute of Medicine. Older people should get 800 IU of the vitamin each day.